Although some would have us believe differently, contemporary society is yearning for its life to be structured. People commonly turn to the Church to accomplish this. If the Church in turn responds with chaos it may very well not be performing an important function. A vital part of the Church’s life is to demarcate a person’s life stages: from baptism, to confirmation, to communion, to death. All of these stages are surrounded by ritual that create structure. This is why the laying down and adhering to guidelines, rules and rituals is important. People naturally expect there to be rules and resultantly expect them to be adhered to. “Clear parameters prescribe the type of action that will take place, which if gone beyond or broken, may cause the spectacle to be punctured and lose its symbolic and theatrical potency.” If the prescribed rules are not followed, if the boundaries of the ritual are violated, the value of the ritual is lost. It has not served its purpose and the Church has not served its people. A second aspect of ritual is the emotional states that are invoked during their action and the uniformity that is created. Talk of emotional state within religion is dangerous because of our fear of subjectivism, existentialism and becoming products of the Enlightenment. We are also fearful of being manipulated. We must be reminded that rituals do not aim to invoke emotion, but simply by being a part of the performance of a ritual evokes emotion (intention aside). One of the things that ritual does is to give the participants access to emotions that are resistant to expression through language. This is because the center of ritual is not the mind but the body and its senses. Ritual brings to life and recognition in the mind those things, which originate in the body and the senses. It is important though to not merely relegate the function of ritual to a recalling of an emotional state. The ritual must be experienced as an act of uniformity. If this is not so, then the ritual would merely serve to arouse emotional states of individuals apart from the community. According to David Torevell, rituals by nature are public, collective and objective experiences. As a result, subjectivism and private feelings are not at ease with such a public domain. As we began to discuss the emotional aspect of ritual, hesitancy was voiced due to such results as subjectivism and individuality. Instead of these results, ritual accomplishes the exact opposite. It brings individuals into the experience of the community. According to Emile Durkheim, ritual has the capacity to transform the individual and strengthen the collective identity. It transforms a person from the profane secular world to a sacred world. The emotional responses created by ritual connect individuals to one another, constituting and creating a community (not alienating people from each other). “Religion has always interpreted the world in terms of an all-encompassing sacred order which prevented individuals from plunging into anomie.” Ritual serves to prevent any such slips into obscurity, including and keeping the individual in the community. The third aspect of ritual is its ability to say a lot through so little. Ritual defies definition at times because it speaks on many different levels. It is not merely language based, although words can be joined to the action. Ritual is a sensual act that involves more than one of the senses, speaking to more than one simultaneously. As a result, rituals are inherently ambiguous in both function and meaning. They speak with many voices and on many different levels of meaning. Torevell echoes this, saying, “A rite is never exhausted, its meaning never fully resolved.” This is not to say that an individual could assign any meaning to any rite. It would be absurd to assert that someone watching the elevation of a host after the consecration in a Church would interpret it as the process of baking bread. It does mean that individuals within the community may see something different within the rite, but all will be related to the body of Christ sacrificed for the sins of the world. The fourth aspect of ritual is the importance of the marriage between form and content. This aspect reminds us of the distinction made earlier by Luecke between style (form) and substance (content). As we noted earlier, ritual is highly structural with rules laid down for its execution. Ritual places great importance in the body and its physical actions are symbolic actions, performed according to “highly formalized” guidelines. Speaking, understanding and verbal explanations are secondary. The main lines of communication in ritual are not through the sense of hearing, but through the senses of sight and touch. Luecke claimed that the style of ritual could change without the substance doing the same. Torevell, contrarily states, “What makes ritual a distinctively performative occasion is this marriage of form and content, whereby communication is able to flow naturally from a carefully structured and organic sequence.” The contention is that the performance of the ritual is the line of communication as the message is wed indissolubly to the form. The message itself is found in the medium of the ritual, so the form becomes indispensable. The stimulation of the mind is not purely cognitive in ritual. The symbolism of the rite and its actions stimulate the mind away from conceptually mundane thought and rationalism. Being part of the rite is like being part of something greater than oneself. To divorce form from content would be to lose this sense of “otherness.” This aspect cannot be explained through words and an attempt to do so would be detrimental to the rite itself. As a result, the form must not be changed lest the content change as well. As we close this section on the role and function of ritual, a word of caution. To some it may seem that ritual has been given free reign. If it is vital to not change the form of the rite lest lose the content, ritual form seems to take precedence over ritual content. Also, if the meaning is never exhausted then the form could possibly take on a life of its own, continually invoking more and more meanings (without boundary and limitation). Torevell suggests that this is where silence in the liturgy helps to create stability of form and the experience of the sacred. 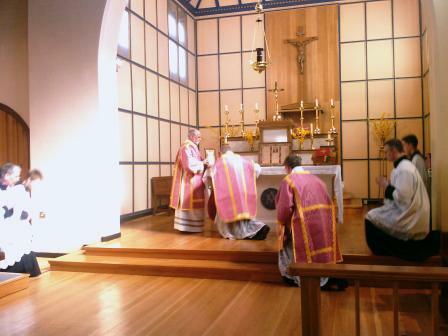 It must be always kept in mind that the rite is functioning to serve the community as an engagement with the other (the holy). Ritual has many aspects: it is governed by rules and regulations; it focuses upon the body and senses to create unity amongst individuals; its meaning is never exhausted; the connection of form and content is vital within a ritual; and it is important to maintain a stability so that ritual does not take on a life of its own. It is not difficult to see that the description of ritual just given is quite different than that promoted by Luecke. This being the case we must now examine the use of ritual historically: first within the medieval church, followed by an analysis of the effects of the Reformation. 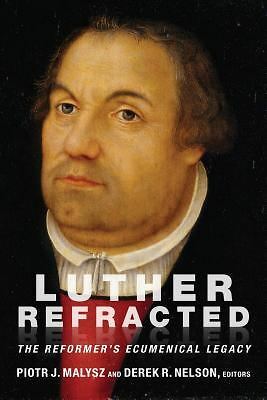 As we begin we once again ask: Is it proper for Lutherans to distinguish substance from style? Elizabeth Parmentier, “The Ritualization of Marriage in the Churches of the Reformation: A Language to Express the Encounter of Human and Divine Love,” Studia Liturgica 32 (2002) : 29. David Torevell, Losing the Sacred: Ritual, Modernity and Liturgical Reform, (Edinburgh: T&T Clark, 2000), 25. Edward Muir, Ritual in Early Modern Europe, (Cambridge, UK: Cambridge University Press, 1997), 2. As paraphrased by Torevell, 2.